Do you want me to get on the couch? Shirt off bra off, what you gonna do? Are you so hard? Do you need Viagra? Not bad eh? BTW this is a Drum and Bass track…OMFG yes they do have lyrics. Tamakeri – What the hell is that?!? Found this in a friends sig on SFDC, thought it was pretty funny so I should share it.. This topic has come up quite a few times recently..and well it’s an interesting topic for debate. I noticed it first off myself..and discussed it with a few people which confirmed my thoughts and it was again recently re-established. And so on..the crux is this, when people are educated in this region they aren’t taught to think, not in any abstract way, they learn by rote, by memory. This is very unhealthy and doesn’t nuture creativity or innovation..it stifles and leads to a somewhat stagnant talent base. This is demonstrated by the fact most of the ‘great minds’ go overseas somewhere to work rather than here..Here it’s hard to acheive anything, it’s hard to get ‘new’ things accepted. The whole education system leads to the way the market works here, it’s very hard to get in if you aren’t ‘IN’ , once you are in you are the one…once you have the brand identity there becomes only you, there is not so much market competitiveness.. This is because people in general won’t think outside the norm, ok this one is normal to get and best, let’s stick to that and not try the others.. The example that demonstrated this to me was in a recent class I was attending…the lecturer was an Indian teacher, their education system has progressed to include abstract thought and discussion so he taught in a Western way, trying to spark debate and raise questions..so one time he asked a very traditional group of students the answer to a question, they answered then he purposely made his answer different, somewhat incorrect…I voiced my opinion “I think you are incorrect”, he asked me to wait for my explanation and he asked the other students..again voicing his answer as the correct one, they all changed their opinions slowly towards his, nodding their heads and saying they must have been wrong.. I don’t see how the knowledge base can grow as it needs to if this mindset keeps being re-inforced in the education system…black is black and white is white no debate. It’s not the way to learn, well I class learning as understanding..not just memorising. You need to question, you need to debate, you need to be wrong sometimes and accept it..
As my recent tutor said…what’s the worst that can happen? You’ll be wrong, you’ll have made a mistake, big deal..everyone does it, we are all human after all. If you go to a class, PLEASE ask questions. If not it makes it very difficult for us (the teacher) to conduct an interactive class.. PLEASE question things, don’t be spoonfed all the answer..learn to think for yourselves..think outside the box, take the initiative..
Now these are some sweeping generalisations…but they don’t apply to everyone, those educated overseas usually have absorbed part of a different way of educating..and can debate effectively. Some people are just argumentative wherever they were educated and will raise questions..
For the rest of you, don’t be sheep, you’ll never learn anything. How’s that for a first post? 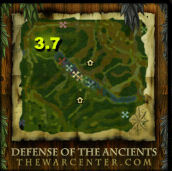 DOTA Classic 3.76d *LATEST* – Basically 3.76c fixed for the latest patch. DOTA DH MM 3.5 (Danite’s Hell with Multimode). If you download a map here, leave me a comment to acknowledge or something kthx. DOTA is teh pwn ok. Currently the most played version is DOTA Classic 3.76c for RoC. Following this it’d be DOTA Classic 3.78b but the changes are too radical for some people. This the current version with the latest RoC patch (1.22.whatever). The other 2 which are still popular are DOTA Rumble which is fun too, with just 1 lane down the middle and DOTA (Danites Hell 2 Beta 3) with all Random Skills. I’ve narrowed down the list just to leave the latest versions. If you want to know what DOTA is, you can click HERE. 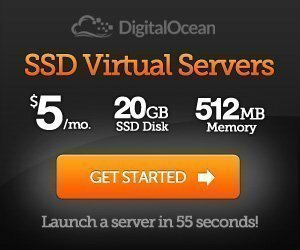 This site has been around for years…but well it’s hilarious and recently a friend mentioned it again so I thought I’d post it here. “Hi, this site is all about ninjas, REAL NINJAS. This site is awesome. My name is Robert and I can’t stop thinking about ninjas. These guys are cool; and by cool, I mean totally sweet. [*]Ninjas fight ALL the time. [*]The purpose of the ninja is to flip out and kill people. [/list]Ninjas can kill anyone they want! Ninjas cut off heads ALL the time and don’t even think twice about it. These guys are so crazy and awesome that they flip out ALL the time. I heard that there was this ninja who was eating at a diner. And when some dude dropped a spoon the ninja killed the whole town. My friend Mark said that he saw a ninja totally uppercut some kid just because the kid opened a window. DOTA is an acryonym and stands for Defence of the Ancients. It’s a custom made map for the excellent Blizzard Game Warcraft III: Reign of Chaos. It’s probably the best computer type game I’ve ever had the misfortune to play (it’s so utterly addictive), it’s extremely well polished and well balanced and the depth of skills you can build is very broad. It’s a team based game with two side, The Scourge (Undead) and The Sentinel (Night Elf), the old cliched ‘good’ and ‘bad’ sides. There are 12 players to pick from on each side and a maximum of 5 may be picked per game (5 per team) so it’s a 10 player game. I’d never played a RPG kind of game like this before, and I went straight to DOTA without playing WCIII at all. I was hooked…it’s all about team play, timing and strategy, you don’t need lightning fast reactions like those other Ah Beng[/url] games (COUNTERSTRIKE)..
You buy items, level up your character, earn money and spend it, work together with your team mates and pwn the other team. To quote the Official DOTA FAQ, what is the point? To take control of a single hero and destroy the opposing computer-controlled base. As you attempt to destroy the enemy base, other player-controlled heros from the other team will often try to kill you. Each hero has different skill types, and is played a different way. The heros have 3 main attributes like normal Warcraft, Strength, Agility and Intelligence, they have 1 which is stronger than the others, this is known as the primary attribute so Melee characters would generally be strength, ranged fighters agility and spell casters intelligence. You can buy items to increase certain stats to build upon their natural strenghts and to improve their weak characteristics. Each of the 24 characters has different spells, skills and a different play style. Some are seigers (to kill buildings), some are hero killers and some are support heros. Each hero generally has 4 spells/skills, each time you level up you can choose a new skills, the 4th or ‘ultimate skill’ can only be chosen at level 6 or above. The map has 3 main lanes, each contain a few towers, then barracks (which produce creeps), then super towers, then the main base (crypt or tree of life) which needs to be destroyed to end the game. That’s a basic summary…will post some strats and guides at a later date. The best place for info on this game is The War Center, you can find extensive build guides and strategies here. It’s important to know every character so when you are playing with them in your team or against them you know what spells they have, how much manna they cost, the cooldown etc. After this for strategies watch replays, as many as you can! Competitive AT strategies for DOTA !! You can download all the latest DOTA maps on my site[/url]. DOTA Classic that is, not Allstars. P.S DONT PLAY ALLSTARS ITS AN UNBALANCED PIECE OF CHILDISH CRAP Although 6.x series is a lot better now that monkey Guinsoo stopped editing.